Microsoft’s Xbox 720 will ship with two GPUs in a configuration that one source likened to taping two PCs together. The gaming console is now expected to ship in time for the 2013 holiday buying season, VG247 has learned. The dual graphics configuration is expected to be equivalent to AMD’s 7000 series cores although it won’t operate in traditional Crossfire or SLI where the workload is split between two or more cards. Instead, Microsoft’s solution will be able to work independently and draw separate items at the same time. The next generation console will feature four or six cores, with one being reserved for the operating system and another used to power the Kinect motion-sensing accessory. Speaking of Kinect, it will be integrated into the 720 rather than as an add-on like the one used for the 360. Another change will require an always-on Internet connection as part of an anti-piracy measure. Gamers without an Internet connection are seemingly out of luck. Oh, and there will be a Blu-ray player as well. It would seem that next generation Xbox rumors are being churned out at a rate that would rival the latest Apple gadget. 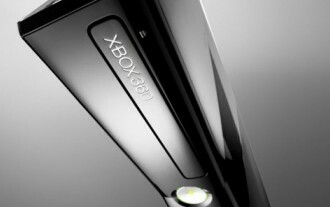 Late last month it was reported that Redmond is planning to launch a Lite version of the Xbox in 2013 ahead of the 720. This budget console would use an ARM processor and could possibly launch without a hard drive, instead relying solely on cloud storage. Either way, we will have to wait until next year before we hear anything official from Microsoft.